As we mentioned previously, Spain is on the table of possibilities once we reach FI (financial independence) (but nothing yet is set in stone). Why (maybe) Spain? Read more about our thoughts here: What Are You Going To Do? We're going to start sharing our preparations for FI and included in that are preparations for possibly going to Spain (among other destinations!). Stayed tuned this weekend for Erik's financial post on Spain (how a family of four can live in Spain for one school year for well under $40k). One of the ways we are preparing to take flight to Spain is to expose the kids (and the family) to Spanish culture and language as much as possible right now. This also reinforces what both of my children are learning in school since they are in a dual language (English / Spanish) program in their elementary school. 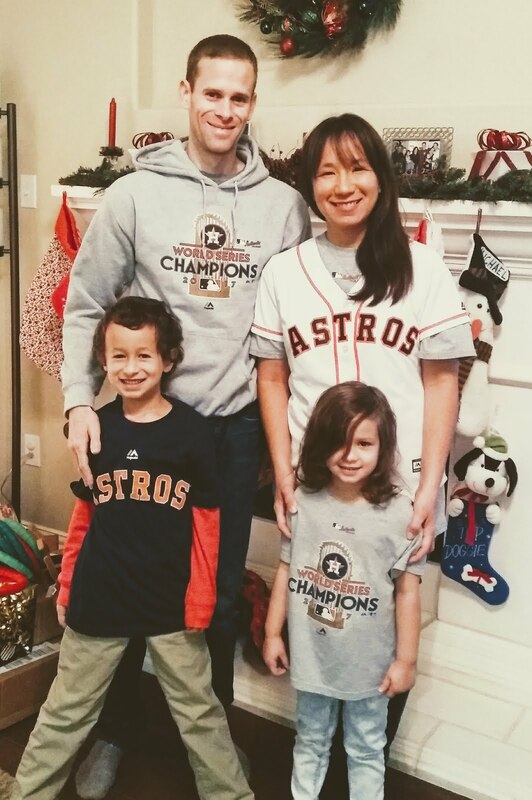 I also value exposing them to as many cultures / languages as possible (in general!). 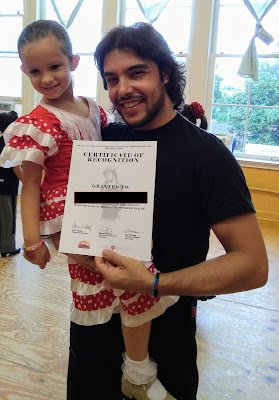 This past weekend our youngest had the opportunity to take a Flamenco Master Class with Ivan Vargas (from Granada, Spain). Funny thing is ... Granada is currently our top pick of where we may want to stay for a school year (or more). (Just a quick Google search of Ivan turns up much about his Flamenco experience including some really great videos!). Our youngest has been in dance since she was two years old (ballet and tap), but she has never taken Flamenco before. When I told her about it she was very excited - "flamingo! Yes! I love flamingos!" (She is 5 years old). As much as I tried to explain the difference in what I was trying to say, I'm still not sure she understood. Hah! Kids. 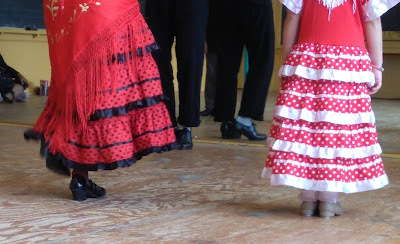 What is Flamenco? From Flamenco Houston: Flamenco is a Spanish art form made of three parts: guitar playing (toque), song (cante) and dance (baile). 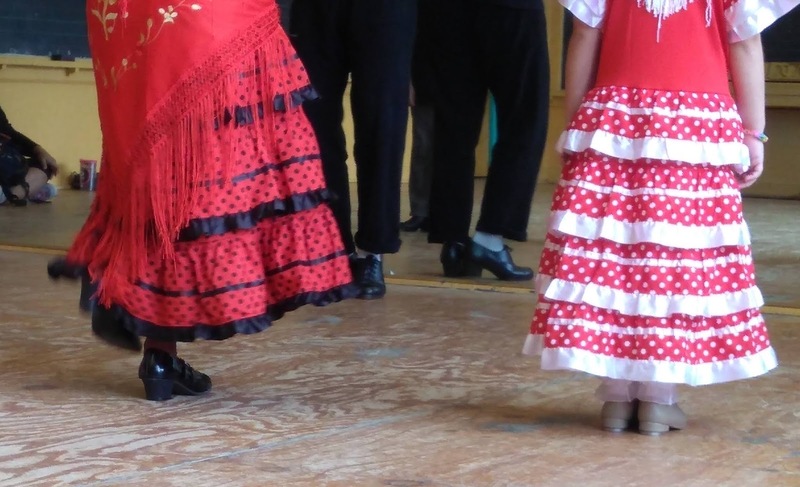 Flamenco originated in the southern regions of Spain, but its thought to be influenced by many world cultures, including Latin American, Cuban, and Jewish traditions. How did I find out about this opportunity? Facebook of all places! Social Media is good for something (sometimes). Ivan Vargas, a professional Flamenco dancer, came from Granada, Spain to perform and teach at MECA (Multicultural Education and Counseling Through the Arts) with Mercy Renteria of Underbel Flamenco. This was from MECA's website: Ivan Vargas is one of the most internationally acclaimed Flamenco dancers. This will be his first performance and Master Classes in Texas, along with Houston based flamenco dancer Mercy Renteria. He is one of the most internationally acclaimed Flamenco dancers. Ivan Vargas was born in Granada, Spain in the Sacromonte district, specifically in the cave "La Rocío" where he joined the world of dance at the hands of his family, Los Maya, a dynasty of renowned dancers such as Manolete, Mario Maya, Juan Andres Maya. Representing centuries of history, flamenco blends Andalusian, Iberian, Arab, and Romani culture into one spectacular show with live vocals, live music, and highly technical dancing. We had a blast at her Master Class (very near our old neighborhood when we lived in Houston). She was very lucky to be one of only five students, and Ivan Vargas was really great with the kids. Sadie seemed to be the youngest and possibly one of the only ones that has not had previous experience with Flamenco. 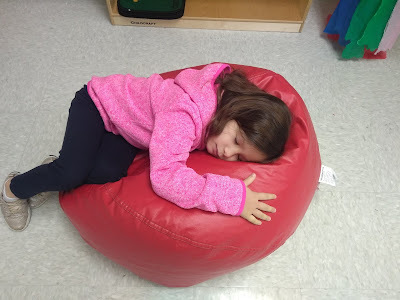 I loved that Ivan communicated in Spanish 99% of the time, and Sadie hung in there (she's had Spanish exposure at school since late August so that has probably helped!). What a unique opportunity for her to be able to learn from and dance with an internationally acclaimed Flamenco dancer. The cost for one of the Master Classes for children was $40.00, and we used our variable spending on this expense. A friend of ours happened to have a dress from Spain that we borrowed (free!) so shout out and thank you to that friend. Often times someone in your circle may have something you can borrow for a one time (or few times) use (another perk of Social Media - crowdsourcing friends). 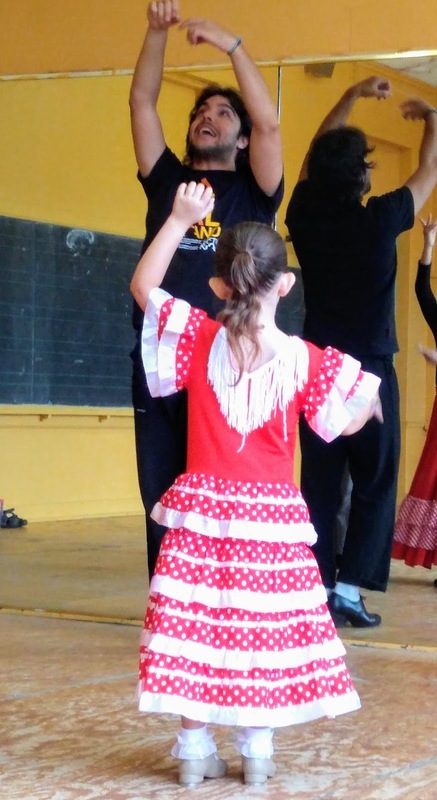 MECA also offers Flamenco classes for children through Mercy of Underbel Flamenco so that is something I may consider in the future. 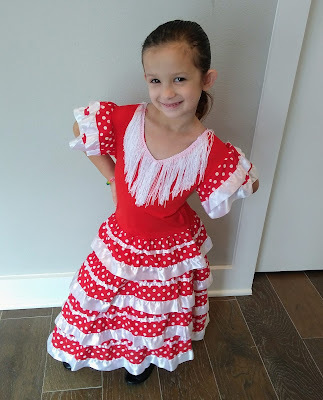 I personally enjoy learning about cultures through art history / the arts, and what better way for Sadie to learn more about Spain than through Flamenco? What do you think ... how do you like to learn about other cultures? What else should we add to our list to prepare for Spain?